The No.1 Auza Project: I am playing a little SEO game right now. I’m not doing this to draw more traffic to this site to gain a little advertising money. I’m doing this just for fun mixed with a little ego-tripping. I want to be No.1 in Google for the keyword: auza. For those who didn’t know it yet, Auza is my last name. Now who wouldn’t want to see their name at the topmost order of search results? I’m not really into SEO and I don’t care much about optimizing my site or the “keywords” that I use on my posts in order to be search engine friendly. I just go with the flow. However, the outcome of this No. 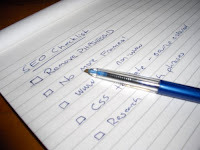 1 Auza Project could change my view on the importance of a search engine optimized site. You can see from the screenshot that my site is still on the No. 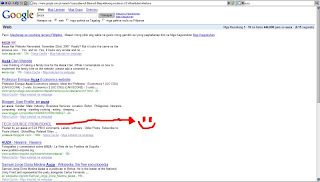 5 spot in Google search results when using the keyword auza. I will just make an update later if ever I’ll be successful in my quest to be the No.1 Auza in the world.